With the holiday season in full swing, you can never go wrong with a classic holiday flavor: peppermint. 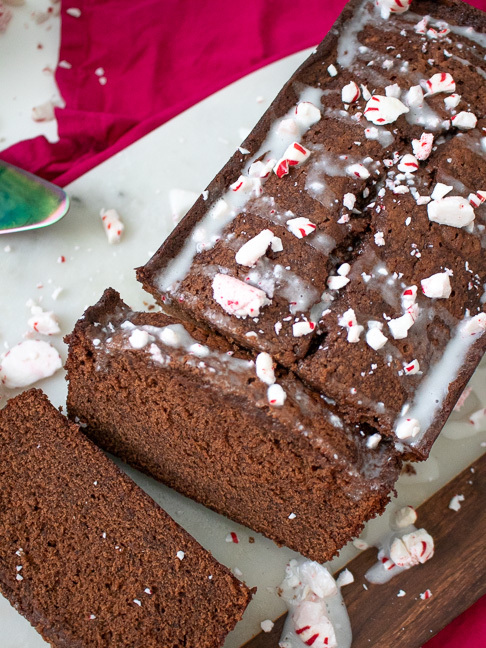 Combined with chocolate, it’s my personal favourite flavor combo for Christmastime, and there’s no easier way to blend these flavors than with chocolate peppermint bread. 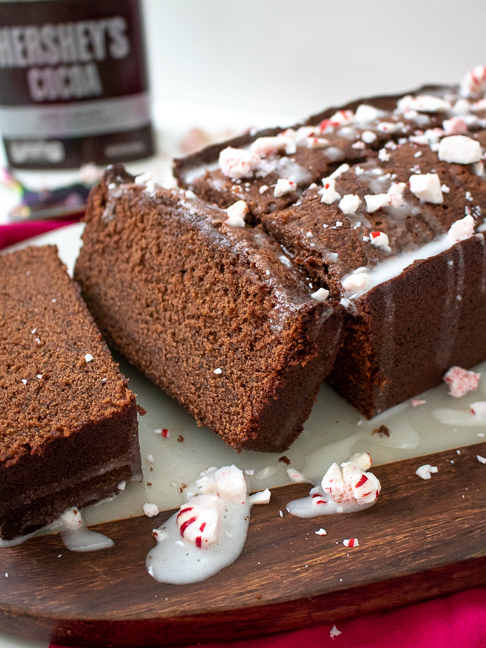 Normally, making a cake can be a lot of work during such a busy season, but this simple chocolate peppermint bread with a cake-like texture (much like a pumpkin bread) is easy to whip up and make in significantly less time than it would take to frost a traditional cake. Drizzle with a basic icing and crushed peppermint candies for a little crunch and extra peppermint flavor! 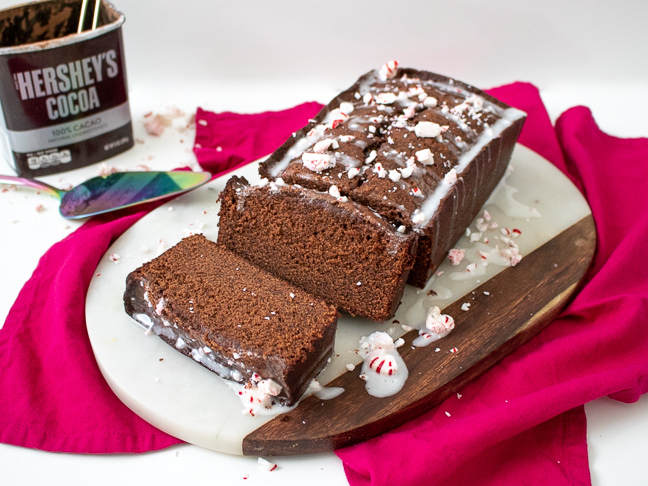 Make a few loaves of this chocolate peppermint bread at a time this holiday season so you can give them as gifts, bring them to parties or simply enjoy them at home. Step 1: Preheat the oven to80 degrees C. Grease the bottom and sides of a loaf pan with cooking spray and set aside. Step 2: In one bowl, whisk together the flour, cocoa powder, baking soda and salt. Set aside. Step 3: In the bowl of your mixer, cream the butter and sugar together until fluffy, about 3 minutes. Step 4: Add each egg, then the peppermint and vanilla and mix well until combined. Step 5: Add 1/3 of the flour, then milk and alternate until the batter is smooth. Step 6: Bake for 60-65 minutes until a skewer inserted into the center comes out clean. Let cool completely before icing. Strep 7: To make the icing, whisk together the sifted caster sugar and a little milk at a time until just smooth enough to drizzle. Step 8: Drizzle the icing over the cooled cake and top with crushed peppermint candy for added flavor and crunch. Slice and serve!